The American Psychological Association offers ten helpful tips for building resilience in children, with specific information about elementary, middle and high school aged kids, which you can access by clicking here. There is also a wide array of treatment options that have proven to help children and teens heal from trauma. To learn more about creating a safe environment, click here. To learn more about providing adult support to children, click here. To learn more about self-regulating techniques, click here. The National Child Traumatic Stress Network offers comprehensive resources to help parents with issues associated with bullying. You can access these bullying resources here. Learn more about age appropriate Internet safety through the webinars and resources offered by the Illinois Attorney General here. Here are ten tips for what to do if your child is being cyberbullied from the Cyberbullying Research Center. Here are ten tips for what to do if your child is doing the cyberbullying from the Cyberbullying Research Center. Cyberbullying and Cyberthreats: Responding to the Online Social Aggression, Threats and Distress. 2nd Edition. Nancy E. Willard. For help talking with preschool age children, look at Talking with Kids about News from PBS Parents and Parent Tips for Helping Preschool Age Children After Disasters from Psychological First Aid – Field Operations Guide. For help talking to older children and adolescents, look at Helping Children and Adolescents Cope with Violence and Disasters: What Parents Can Do from the National Institute of Mental Health or Restoring a Sense of Safety in the Aftermath of a Mass Shooting: Tips for Parents and Professionals. Center for the Study of Traumatic Stress. For help in how to manage media exposure, read Tips for Parents on Media Coverage from The National Child Traumatic Stress Network. If a death occurred and it’s someone your child knew, you can find helpful tips for talking about death at Guiding Adults in Talking to Children About Death and Attending Services from The National Child Traumatic Stress Network. Everybody Has Feelings: Todos Tenemos Sentimientos: The Moods of Children. C.E. Avery. Gyphon House. For ages 2 to 5. 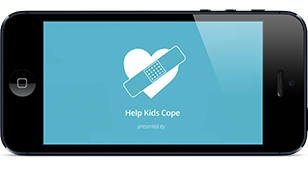 Learn about a free app from the National Child Traumatic Stress Network (NCTSN) that you can get to help you explain, prepare, respond and heal from these events here. You can learn more about early childhood trauma from The National Child Traumatic Stress Network here. The National Child Traumatic Stress Network offers a list of symptoms and behaviors associated with exposure to trauma for children from infancy through age 5.